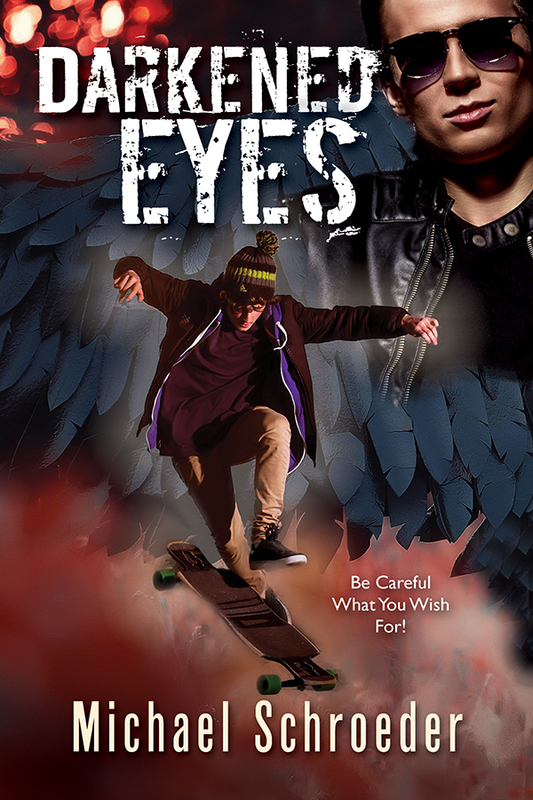 The author needed a cover design for his novel featuring a teenager riding his skateboard. Other characters in the story included a sinister guy named Stefan, who is shown in the final design. Other characters, not selected for the final design, included Brother Greg, a youth minister, and Renae, a romantic interest. The target market for this book is teens and early 20 somethings. Click the navigation arrows on either side of the cover image to see the designs we submitted. The first image is the final design the author chose. The other two designs were also created but not selected. Michael Schroeder grew up in Northern Colorado and has been passionate about stories and writing since he was a child. By helping with short, audio drama skits, acting, and personal writing projects, Michael grew in his love for all things story. He attended the Lamplighter Guild for Creative Disciplines in New York several years in a row and received creative training from masters within the world of Christian audio. In 2012, he attended Verity Institute in Indianapolis, and received a BA in Communications from Thomas Edison State University in 2013. 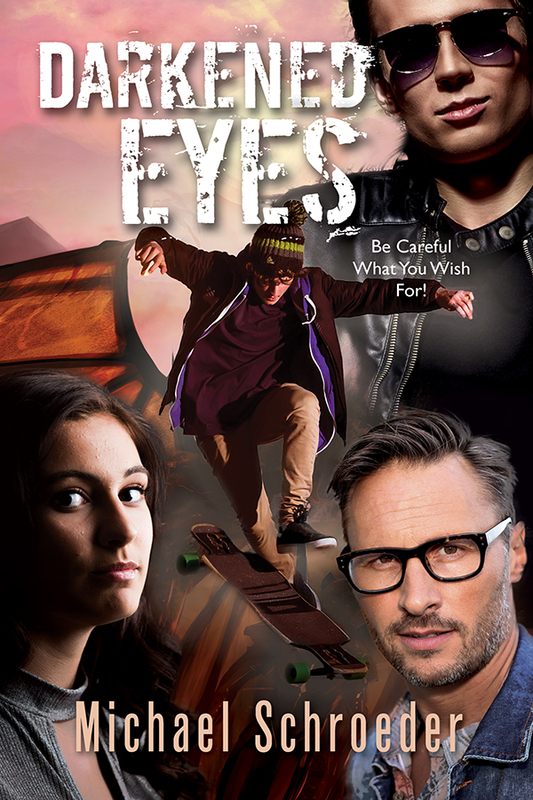 Our task was to capture the action and excitement of skateboarding by compositing photographic images. There was also a sinister side to the story depicted by the black wing, red tones, and Stefan, a drug dealer. 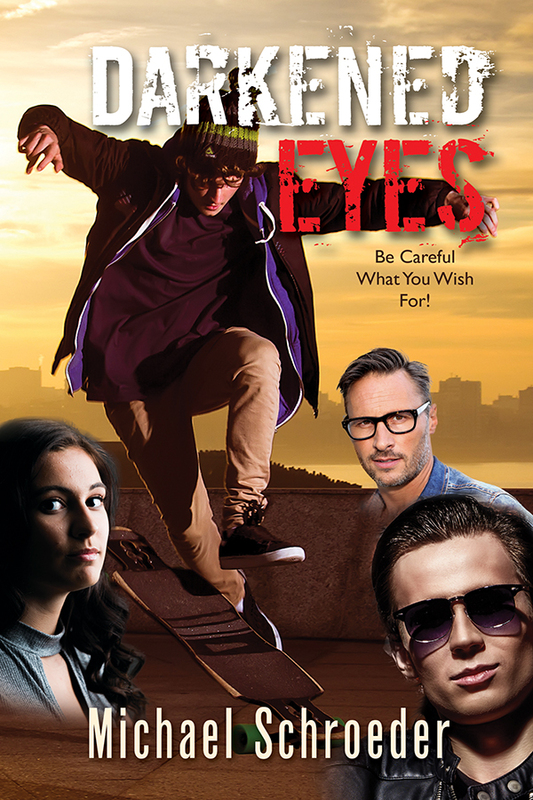 The cover needed to appeal to teens but not be too juvenile so as to turn off adult readers.